Users cannot be deleted from Sfax, only suspended/deactivated, which would remove their access to Sfax. 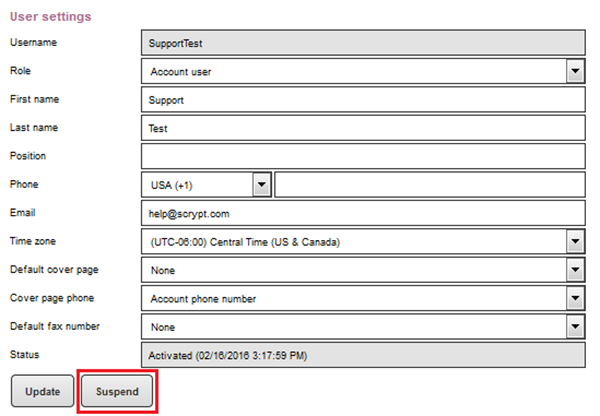 This article will provide the steps to suspend/deactivate users from your Sfax account. 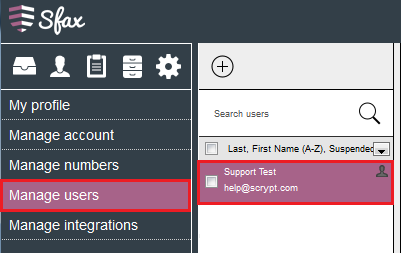 Your user account must be set as the Account admin in order to suspend/deactivate users from your account. 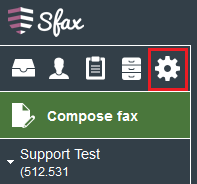 Once you have logged into Sfax you will need to select the Settings option. Once in the Settings area select the Manage users option and select the user you would like to suspend/deactivate. 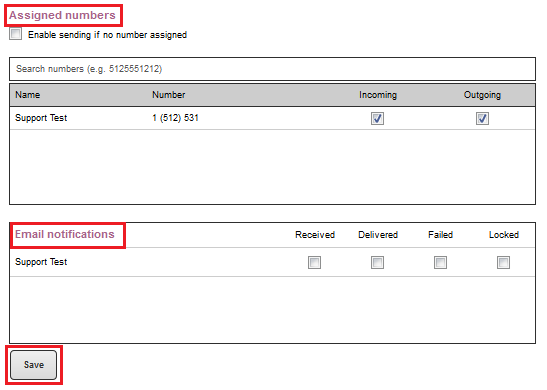 Remove them from any fax line assignments under Assigned numbers and any e-mail notifications and click Save. Then next in User settings click Suspend. You have now completed the steps to suspend a user account.